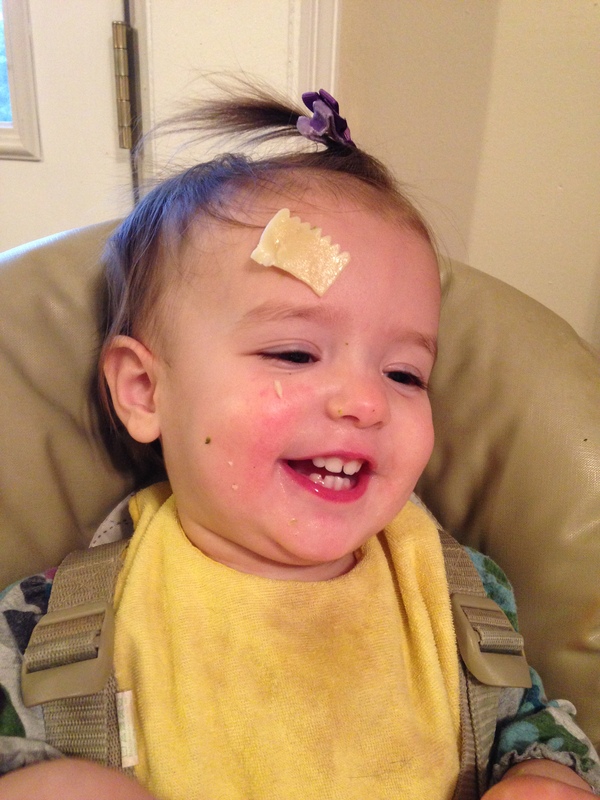 I am embarrassed by how far behind I’ve gotten on my family’s personal blog. I love being able to look back at this blog and have a record of M’s life, and I want to make sure I do as good of a job for S. I’m going to do my best to catch up and to keep on top of it! I posted about our Valentine’s Hearts, but I don’t think I mentioned that we went to super fun craft party hosted by my friend Michelle. 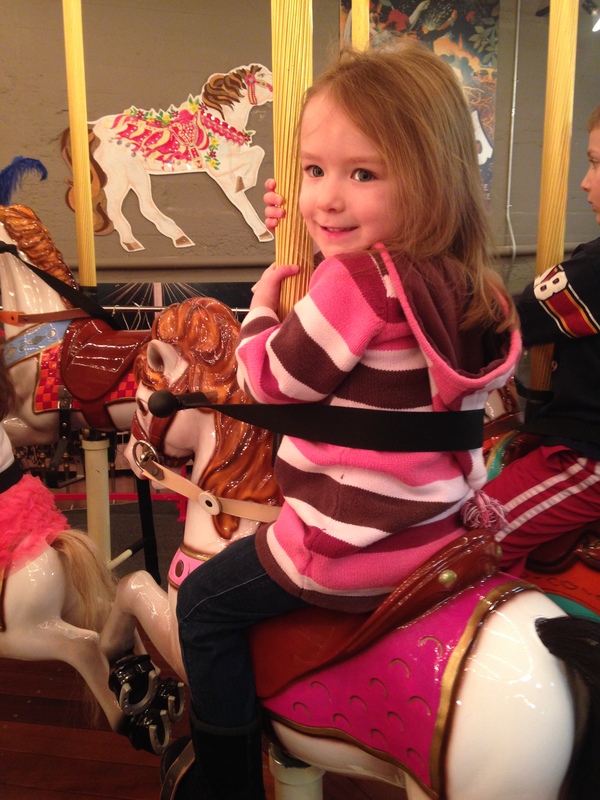 She held it at our local carousel museum and it was super fun! 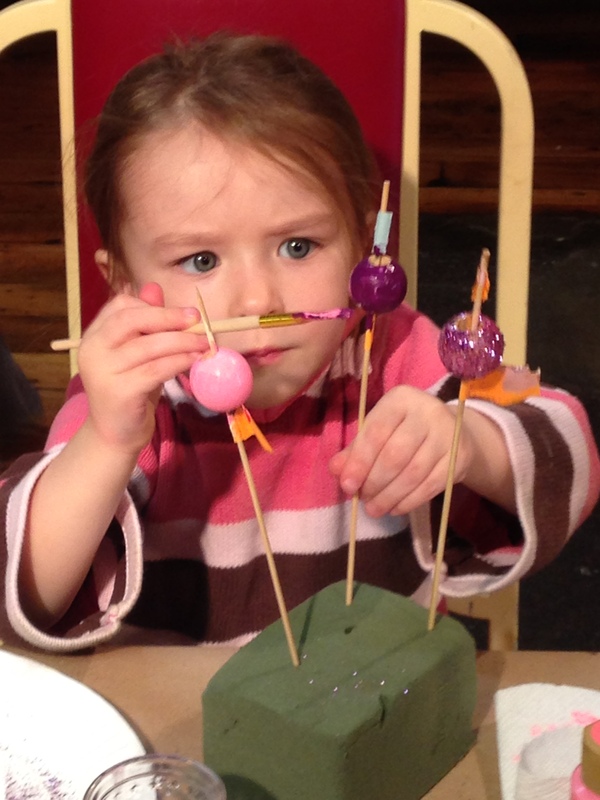 Here’s M concentrating on painting beads. 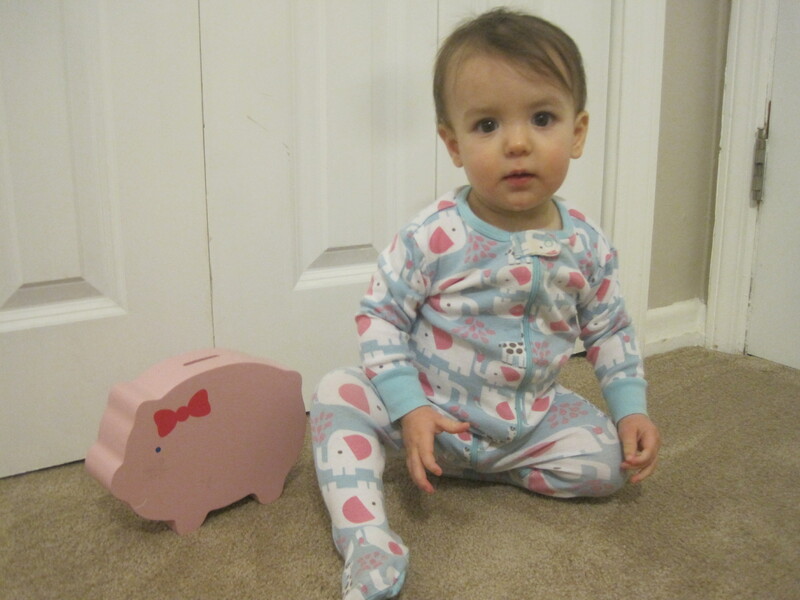 Then I took this super cute photo to use in a guest post on my bank’s blog. Or she’s biting her sister. We all know that if you hear a certain shriek from either M or S, you need to get over there ASAP because S is about to start biting! 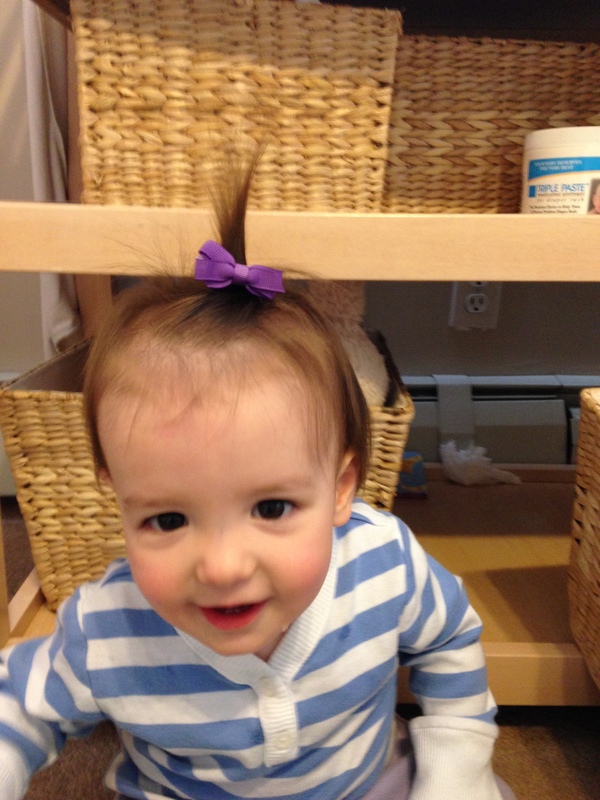 More on that at S’s 15 month post – coming soon! This entry was posted in Blogging, Miss M., Miss S.. Bookmark the permalink.